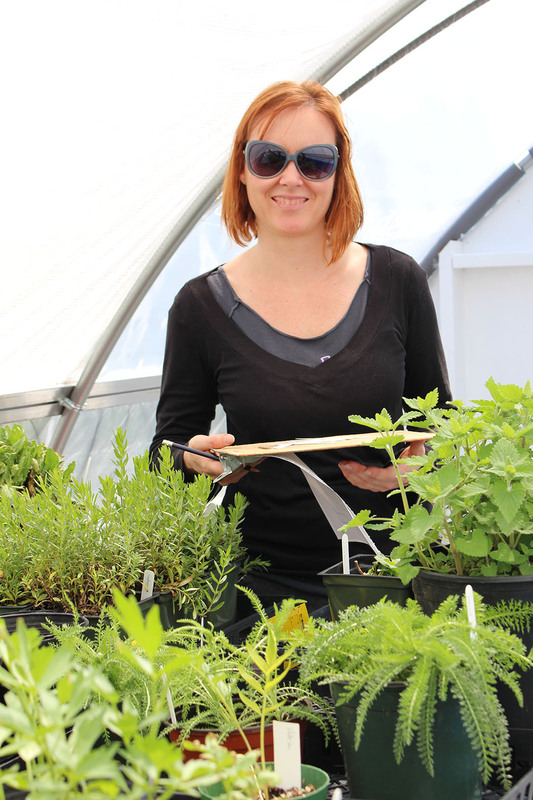 The paradox of commercial greenhouses has always bothered edible landscaper Megan Riley. While the greenhouses allow professional growers to get a jump on starting seeds for food crops and landscape plantings, they require significant energy resources to operate. That means the houses aren’t necessarily sustainable, Riley says. 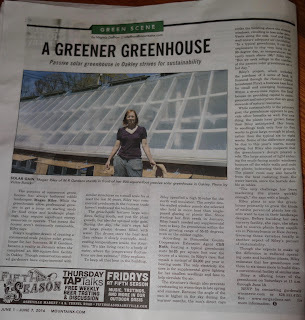 Riley’s longtime dream of creating a commercial-scale passive solar greenhouse for her business, M R Gardens, became a reality in January when she completed an 800-square-foot facility in Oakley. Though conservation-minded gardeners have experimented with similar structures on a small scale for at least the last 50 years, Riley says commercial producers in the nursery trade haven’t embraced the technology. 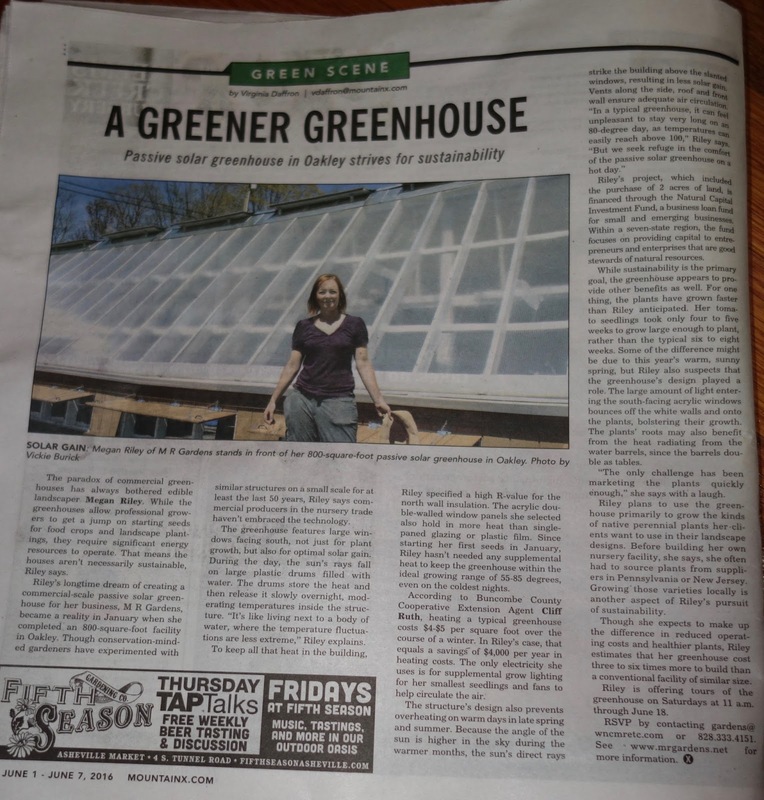 The greenhouse features large windows facing south, not just for plant growth, but also for optimal solar gain. During the day, the sun’s rays fall on large plastic drums filled with water. The drums store the heat and then release it slowly overnight, moderating temperatures inside the structure. “It’s like living next to a body of water, where the temperature fluctuations are less extreme,” Riley explains. To keep all that heat in the building, Riley specified a high R-value for the north wall insulation. The acrylic double-walled window panels she selected also hold in more heat than single-paned glazing or plastic film. Since starting her first seeds in January, Riley hasn’t needed any supplemental heat to keep the greenhouse within the ideal growing range of 55-85 degrees, even on the coldest nights.